The PLA Navy surprised many foreign observers yet again when an indigenously-produced J-15 fighter became the first known fixed wing aircraft to take off from and land on the aircraft carrier Liaoning since its refitting and commissioning. Yet a critical question remains unanswered: how rapidly and to what extent will the J-15 and other Chinese military aircraft be powered by indigenous engines? 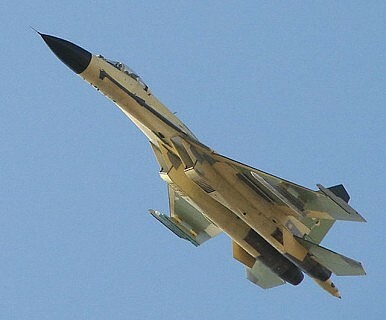 As in so many other areas, China’s overall development and production of military aircraft is advancing rapidly. Yet, as with a tent, it is the “long pole” that is essential to function and undergirds performance. In the case of aircraft, the most critical and difficult-to-produce component—the “long pole”—is the engine. Given the wide array of market-tested alternatives, nobody will buy a unit in which this central component is flawed. Hence, China’s currently significant efforts to make progress in this area. Still, the outcome and impact of these efforts remain uncertain. As part of a larger effort to consolidate and enhance the industry, China’s jet engine makers, led by Aviation Industry Corp. of China (AVIC), are expected to invest 100 billion yuan (US$16 billion) in jet engine development in the near term, and perhaps up to 150 billion yuan (nearly US$24 billion) by 2015. According to Reuters, “Some Chinese aviation industry specialists forecast that Beijing will eventually spend up to 300 billion yuan (US$49 billion) on jet engine development over the next two decades.” With this level of capital investment, which is many times larger than previously-reported levels, China is finally deploying the financial wherewithal needed to enable major breakthroughs. For context, the Pratt and Whitney F135 powering the F-35 Lightning II, which is the world’s most advanced and powerful tactical aircraft engine, is estimated to cost around US$8.4 billion to develop (at least in terms of officially-reported funding sources). On this basis, China has deployed funds sufficient to potentially support the parallel development of several advanced high-performance jet engines and large turbofans. China’s defense aerospace industry has shown the ability to successfully manage parallel projects, as it is simultaneously developing at least four different types of tactical fighter and strike aircraft, including two low observable fighters, the J-20 and the J-31. No other nation is working simultaneously on so many distinct modern tactical jet programs. Yet this very progress also highlights an additional reality of China’s military aircraft sector—while airframe design and construction capacity have advanced significantly in recent years, China remains unable to mass-produce a jet engine capable and reliable enough to give its new fighters truly 5th-generation performance characteristics such as the ability to cruise at supersonic speeds without afterburners. Even if the J-20 and J-31 prototypes are flying with Chinese-made jet engines, this by no means demonstrates that such engines have a sufficient service life and can be produced on a scale suitable for equipping a large tactical aircraft fleet.